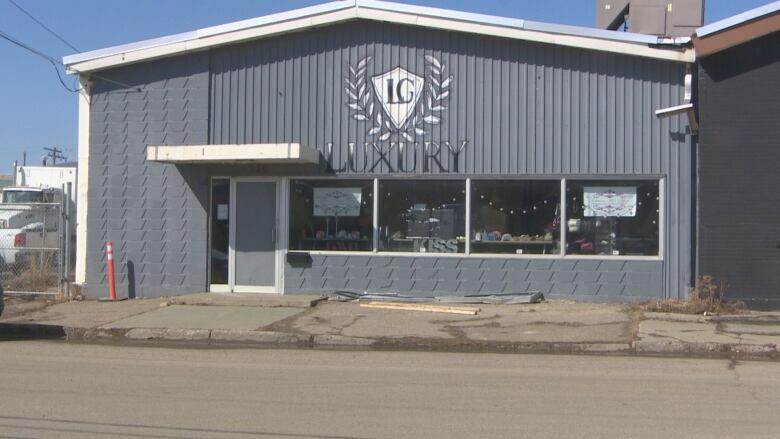 After dealing with a Regina bridal and consignment store for a number of months, Loralyn Koffler-Hubbs said she grew frustrated over not receiving her payment for dresses, and is now taking the company to small claims court. "Don't get me wrong, $10,000 is $10,000. [But] it's the principle," she said, claiming she didn't receive the money she believes she should have for more than 90 dresses she had given to the store on consignment sale. "I would like my money. That's why I'm taking [the business owner] to small claims court," said Koffler-Hubbs. Koffler-Hubbs has filed a lawsuit, seeking $9,965 plus interest and court costs, or the return of her items, from Renee Walker, the operator of Glitters for You Bridal and Consignment. 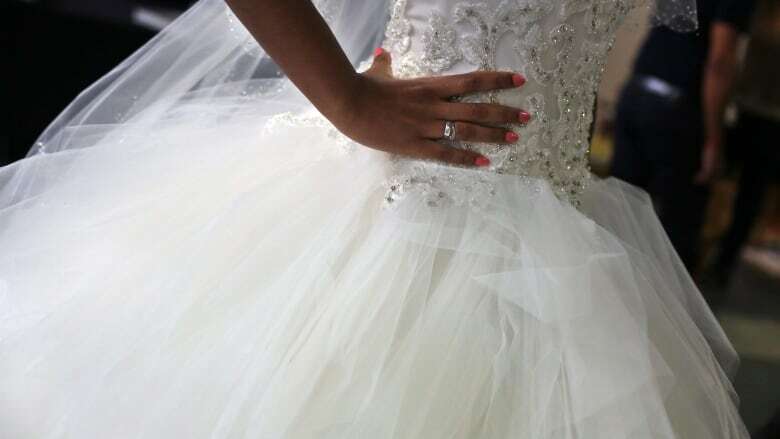 In the statement of claim, Koffler-Hubbs alleges that in November 2016, she dropped off 261 dresses — including wedding gowns, graduation gowns, cocktail dresses and flower girl dresses — for consignment at Glitters for You. She had purchased the dresses in the U.S. with the intent to sell them, she told CBC News. She alleges that after numerous attempts to follow up on the status of the dresses, she went to collect them in September 2017 and found 92 dresses missing. No money was received for the missing dresses or gowns, the statement says. Koffler-Hubbs expressed concern for other people who may have had issues with the company, and said she's been in touch with several of them. One of those customers is Bethany Fiala, who said she spent $300 to order flower girl dresses and bridesmaid items at Glitters for You last summer, for a wedding to take place this July. Fiala said she waited well over 12 weeks without seeing the dresses. She reported calling the store multiple times, and said she was repeatedly told the dresses were coming, and that shipment delays were holding up the delivery. Eventually, she went to the store, which was closed. "It was actually very, very terrifying," she said. "I honestly didn't think I was going to get anything back." However, when she messaged the store through its Facebook account, she said a store employee took the initiative to return her money. Glitters for You owner Renee Walker said she couldn't speak to Koffler-Hubbs's situation on the advice of her lawyer, as the matter will be addressed at a May 31 court date. She confirmed she had been in touch with Koffler-Hubbs over a number of months, but said she was surprised to hear of any other clients expressing frustration, and said she couldn't recall dealing with Fiala. "This is all absolutely brand new to me," she said. However, she said that each sale circumstance was different, and in many instances, she has faced struggles with customers who do not pay their fees or pay on time, despite her attempts to be flexible and help people with payment options. "There's two sides to a business transaction — there is the seller and the buyer. And when both conditions are met, everybody's happy, everybody wins," she said, adding that doesn't always happen with customers. "And I have a very hard time with believing that the customer is always right because sometimes the customer is not always right." Walker said she won't release dresses or goods if people fail to uphold their end of the bargain. "If it's business, it's business. It's not personal." "Do I hold grudges? No," said Koffler-Hubbs. "I just would like to see this resolved, and get my money back."